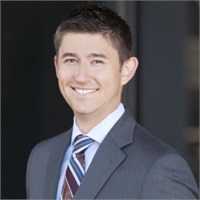 As a founding partner at Westmark Wealth Management, Alex has been working with physicians, dentists, and their families with tax efficient, wealth accumulation and asset protection for 14 years. The goal of Alex’s practice is to help his clients lessen risk and help increase investment growth in an effort to secure their financial future. At Westmark, he takes great pride in helping his clients feel confident that they are on track to hit goals that they have set for themselves. His process is to identify what is important, develop an efficient plan and continuously monitor that plan. Alex and his wife Kelly have two beautiful daughters, Olivia and Vivian. They reside in Scottsdale, AZ where the family enjoys being outside 9 months out of the year and traveling to Southern California during the hot Arizona summers. Once awarded, wealth managers may opt to purchase profile ad space or promotional products. The award methodology does not evaluate the quality of services provided and is not indicative of the award winner’s future performance. 2,936 Phoenix wealth managers were considered for the award; 286 (approximately 10 percent of candidates) were named 2013 Five Star Wealth Managers.